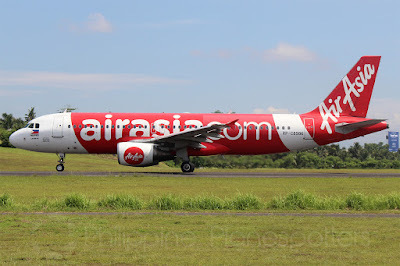 Aviation Updates Philippines - The world's best low-cost airline for the 10th consecutive year, AirAsia is expanding its Mindanao route network with launch of its Cagayan de Oro hub late-October this year. EXPANDED MINDANAO NETWORK. Cagayan de Oro is AirAsia's second destination in Mindanao. Photo by Dirk Salcedo - PPSG/AUP. “Our newest routes connecting Northern Mindanao to Cebu and Iloilo in Visayas and to Manila and Clark in Luzon will provide the much needed domestic connections as there are definitely great tourism and business potentials here,” Philippines AirAsia chief executive officer Captain Dexter Commendador told The Manila Standard. Philippines AirAsia will launch flights from Cagayan de Oro to Manila, Cebu, and Clark on October 28. In addition, services to Iloilo will commence on October 30. Flights will be flown using their 180-seat Airbus A320-200 aircraft. “Let’s paint Cagayan de Oro City skies red and make air travel more affordable, convenient and reliable,” he added. The Cagayan de Oro-Manila route will have two daily flights, Cagayan de Oro-Cebu will have one daily flight, Cagayan de Oro-Clark will have four weekly flights, and Cagayan de Oro-Iloilo will have three weekly flights. The airline is currently offering super low fares for routes to its newest hub until August 12, 2018 for travel between Oct 28, 2018 and March 30, 2019. Cagayan de Oro is AirAsia's second destination in Mindanao after Davao.